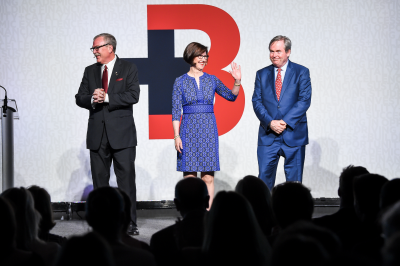 We are proud to lead The Bates Campaign and look forward to working with each of you to reach our ambitious goal of $300 million. This is a major effort that will have a transformative impact on Bates for years to come. The success of The Bates Campaign requires the engagement of our whole community to provide critical funding for faculty, academic programs, high-priority facilities, student programs, financial aid, Purposeful Work, athletics, The Bates Fund — and more. 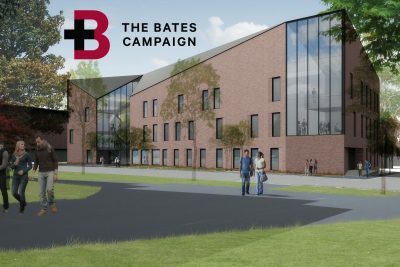 The success of our campaign will ensure that Bates remains a leading residential liberal arts college into the foreseeable future. The campaign will also enable us to add significant new funds to the college’s endowment, securing Bates’ future health in an enduring and deeply meaningful way. Together, we can match the dreams and ambitions of our faculty and students with the resources they need to succeed at every level. The time is now! Thank you for caring and for joining us in this effort. Let’s make The Bates Campaign an historic success.